The award was presented by CPT President Ian Luckett at the CPT’s Wales Coach Commission conference in Aberystwyth. The Confederation of Passenger Transport UK (CPT) is the national trade association for the bus and coach industry. The Coach Friendly Visitor attraction status was launched in 2016 to complement CPT’s Coach Friendly Towns, Cities & Villages status. 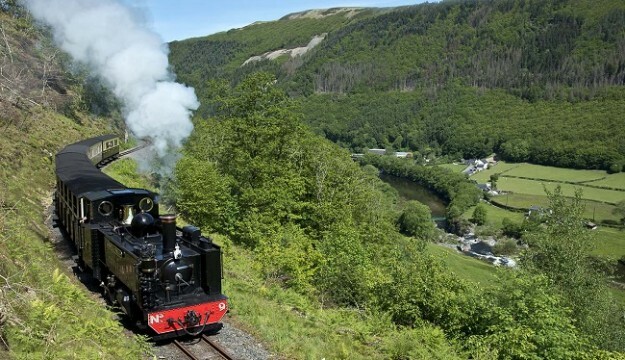 The accreditation recognises and rewards visitor attractions across the country who understand the requirements of coaches and their customers by providing suitably located and first-class facilities. 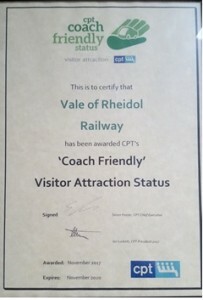 For a list of status holders and the criteria for acceptance, see www.coachfriendly.co.uk. Tourism Awards. It was a finalist in the same competition in 2017.